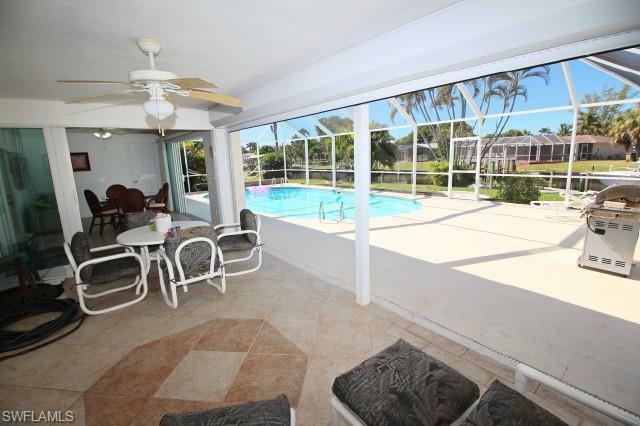 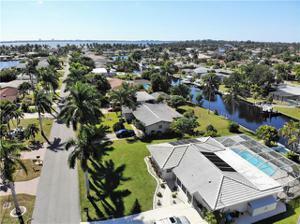 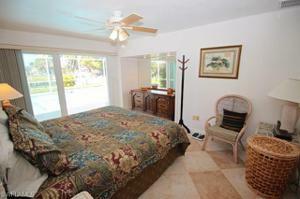 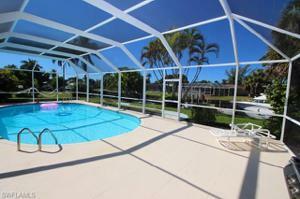 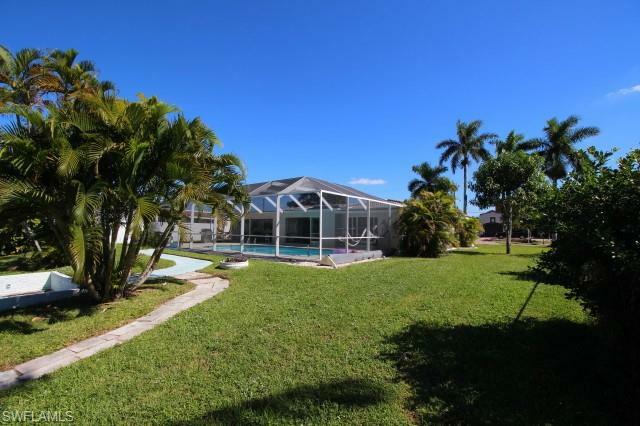 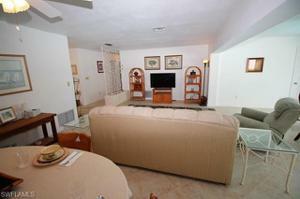 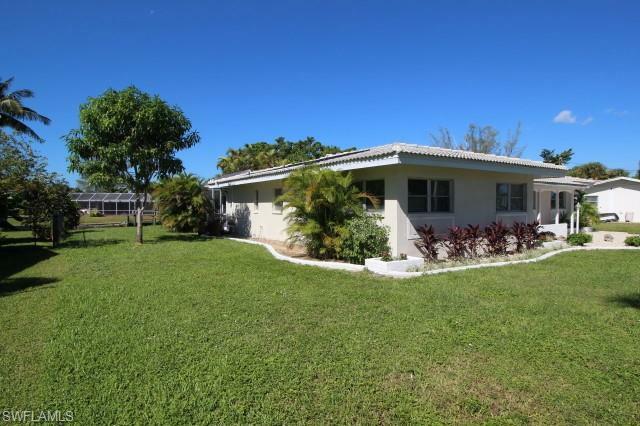 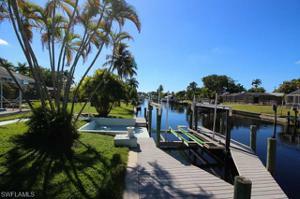 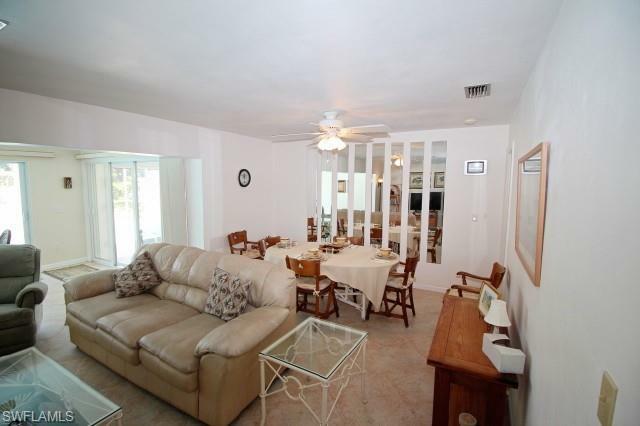 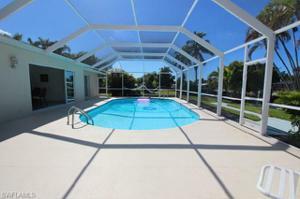 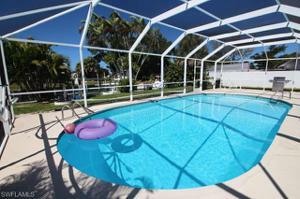 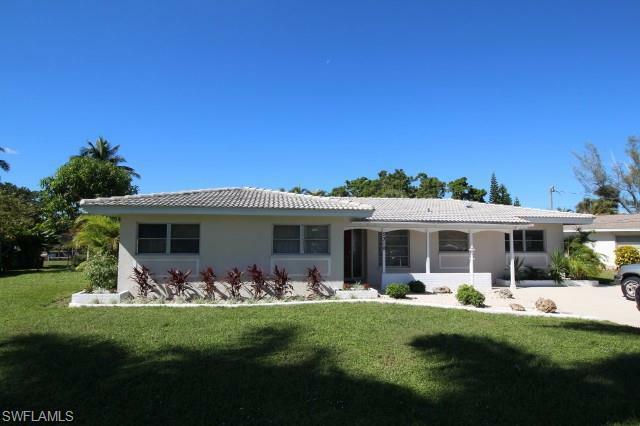 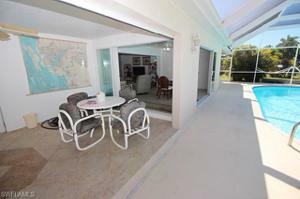 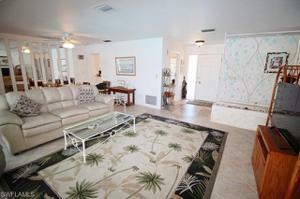 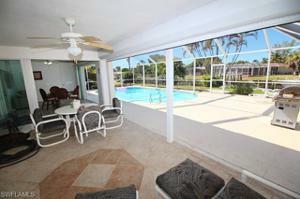 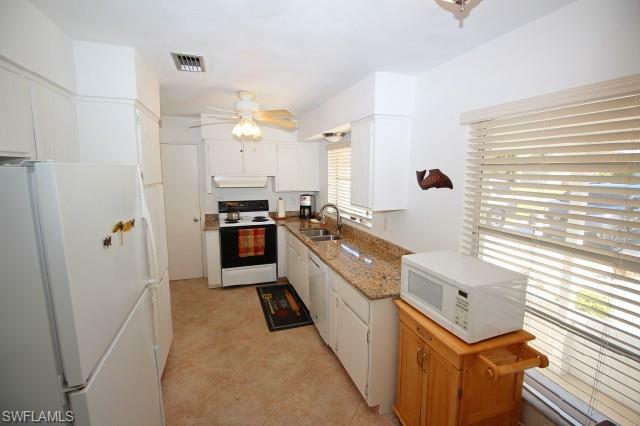 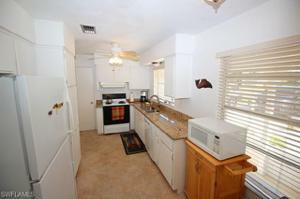 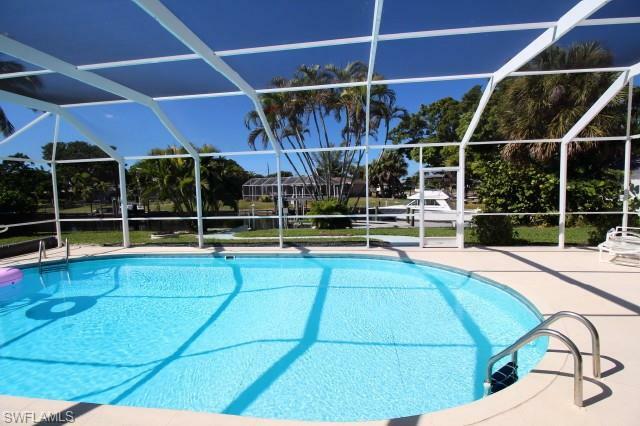 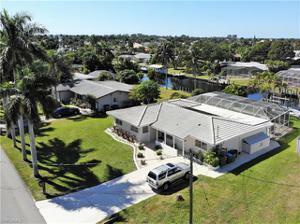 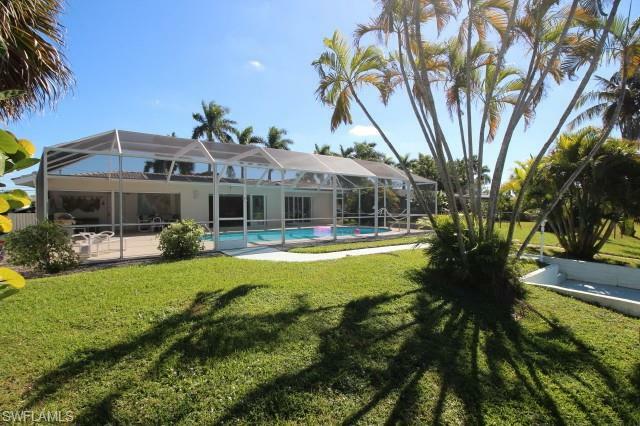 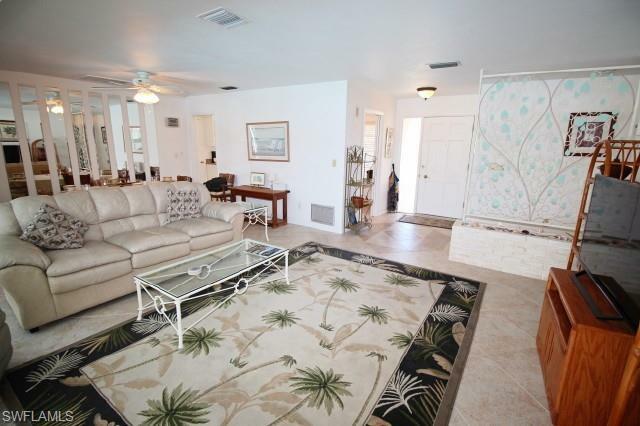 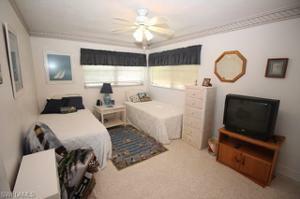 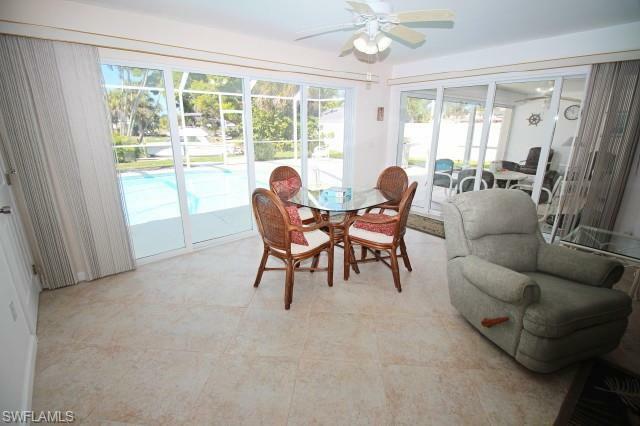 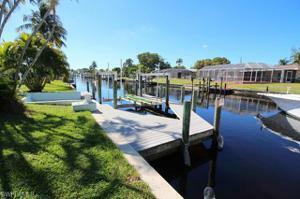 Great Sailboat Access home in the desirable Yacht Club Area of Cape Coral! 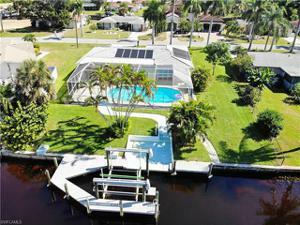 This home features a large boat lift with wrap around composite dock and captains walk. 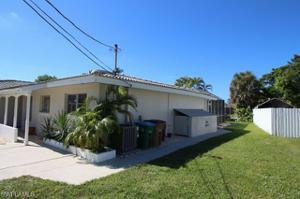 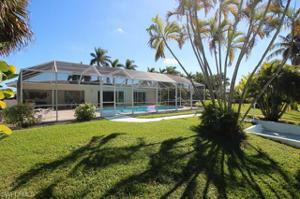 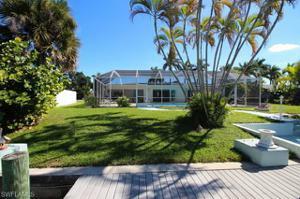 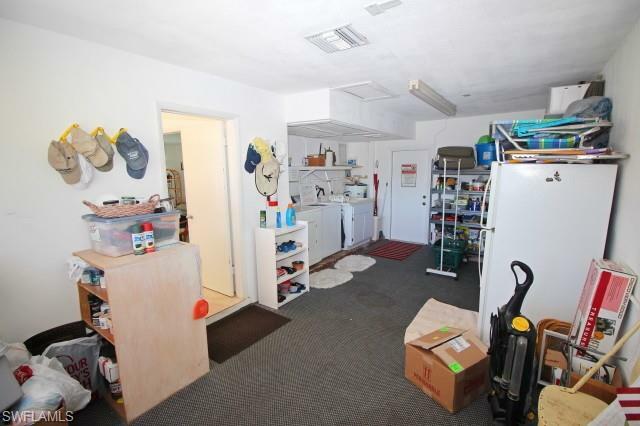 Great location on oversized lot with 80 feet of seawall and 110 feet of road frontage. 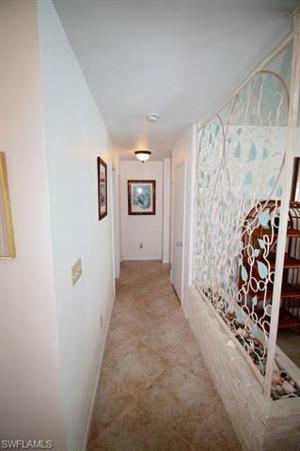 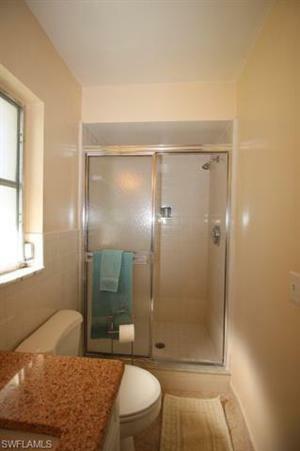 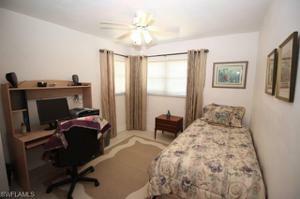 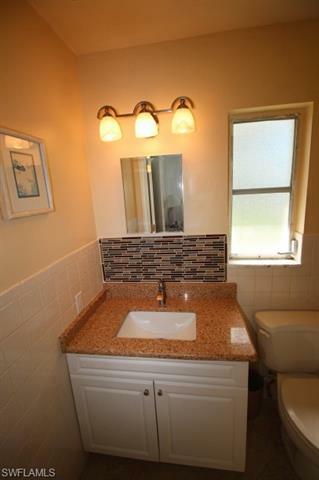 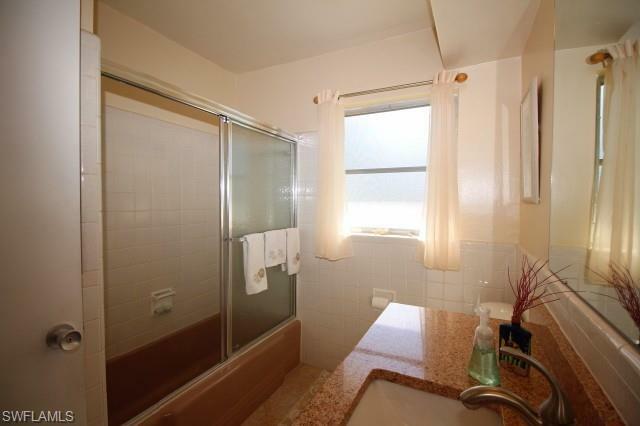 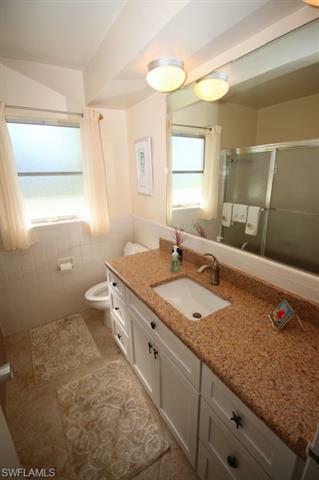 Newer 20 inch Tile throughout and original refinished terrazzo floors in the bedrooms. 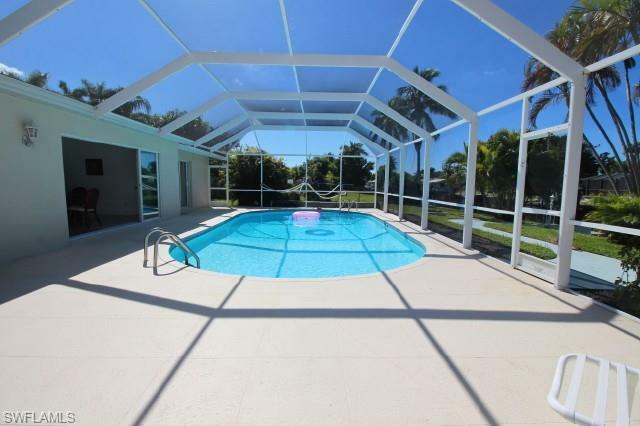 New A/C in 2012, huge pool with new solar heat and pump in oversized screened lanai. Complete plumbing repipe done in 2002. 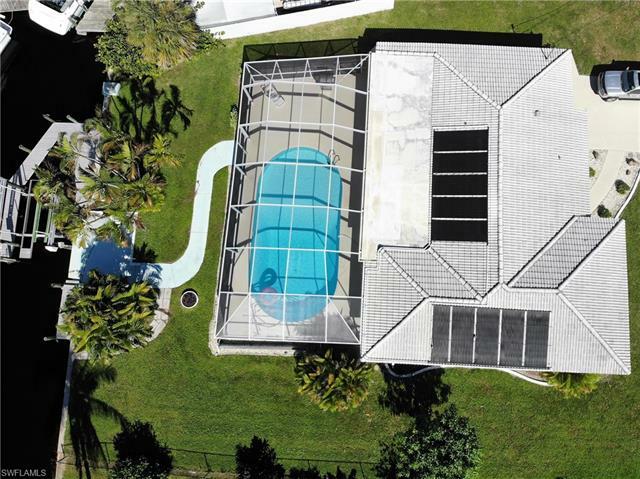 Granite countertops in kitchen and bathrooms, newer insulated double-pane sliders offer a great pool and canal view from master bedroom and living room area. 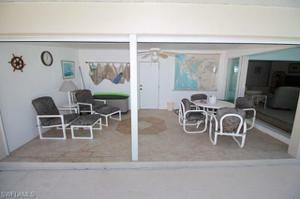 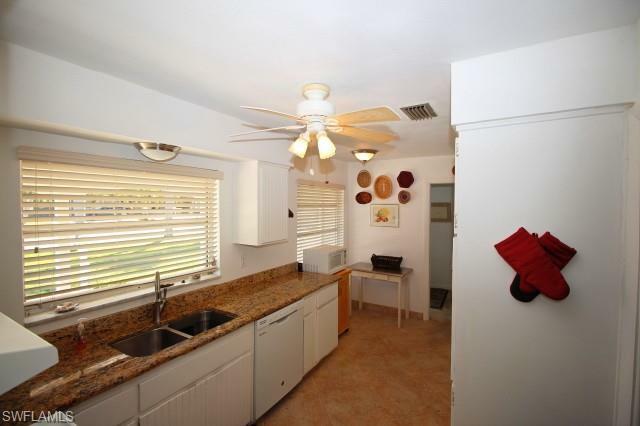 Spacious lanai with electric hurricane shutters.